Irish knockout champion at Anfield – "Play Up, Liverpool"
Jack Doyle, the former Irish guardsman and heavyweight boxer, added another quick win to his list last night, when at the Liverpool football ground he knocked out Bobby Shields, the Scottish heavyweight champion, after two minutes 25 seconds of boxing. 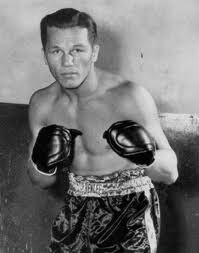 This was Doyle’s 32nd knockout victory in 33 contests. Shields was guarding his face most of the time when the Irishman got in close, but eventually he was beaten by a punch to the body under his raised arms. As he sagged at the knees Shields was caught by a terrific uppercut, which, landing cleanly on the point of the jaw, floored him for the full count.